In last month’s blog, we discussed handling child visitation interference in Texas, where one parent obstructs the other parent’s right to spend time with the child(ren). 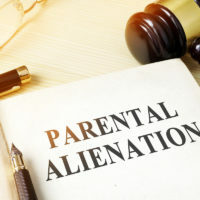 Obstructing child visitation brings up the issue of attachment-based parental alienation, which, in turn, can cause parental alienation syndrome in children. Parental alienation syndrome is frequently brought up in high-conflict divorce or child custody proceedings and can influence custody hearings between parents. If you are facing a contentious divorce, or if you and your child(ren)’s other parent often disagree about sharing parenting time, it’s important to be aware of attachment-based parental alienation, so it may be prevented and avoided. What is Attachment-Based Parenting and Parental Alienation Syndrome? When one parent prevents the other parent from seeing his or her children, it’s generally seen as a form of hostile aggressive parenting (HAP). Many health care professionals consider HAP to be unhealthy, antisocial, abusive behavior that is emotionally damaging and contrary to children’s best interests, and it can lead to parental alienation syndrome (PAS). PAS describes a “disorder” in which a child feels unjustified and intense detachment towards one parent because of insulting comments made by the other parent. With attachment-based parental alienation and PAS, the child(ren)’s anger toward one parent is unjustified; however, the result is generally the child(ren) disliking and avoiding the disparaged parent. In other words, behaviors associated with PAS are separate from normal childhood defiance, rebellion, and angst. Some psychiatrists go so far as to assert PAS can lead to false allegations of abuse when a child has been indoctrinated by a vindictive parent. Thus, while parental alienation syndrome is not recognized by the medical or psychological community, it may be raised in high-conflict child custody proceedings, and, for the overall wellbeing of children and families, attachment-based parental alienation needs to be promptly addressed if it is an issue. One way to prevent attachment-based parental alienation and PAS is through the court orders. For example, there may be an injunction against making disparaging comments about the other parent in front of the child(ren), thus making such comments actionable in court. You can also provide dispute resolution procedures in your plan to avoid a court proceeding if you do have a disagreement in the future. For more information about attachment-based parental alienation, PAS, and child visitation in Texas, please contact the Law Office of Maria S. Lowry. Our goal is to help parents and children achieve beneficial and workable custody arrangements.